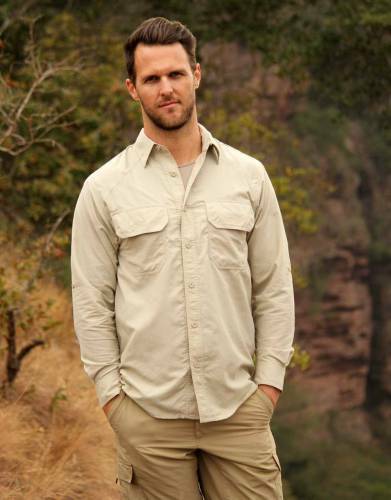 Pack safari shirts which are made from neutral, natural tones such as shades of khaki, green, and brown. 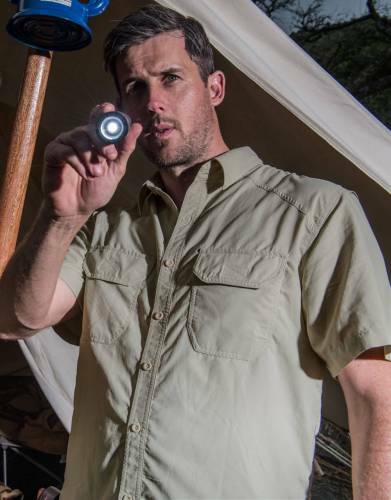 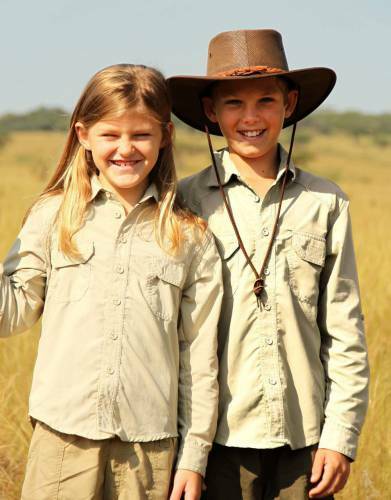 Pack more safari shirts which are long-sleeved safari shirts with roll-up sleeve tabs over short-sleeved shirts - simply as you are able to roll your sleeves up and down when you need to stay cool, keep warm, or to avoid sunburn on your arms. 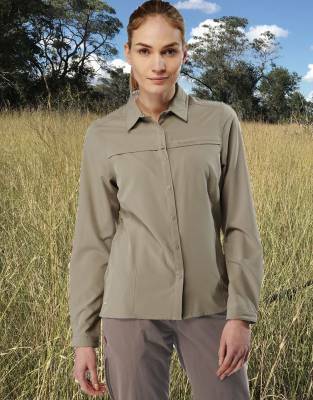 Pack safari shirts which offer a combination of effective wicking, sun protection (SPF50+ is best), and proven insect protection. 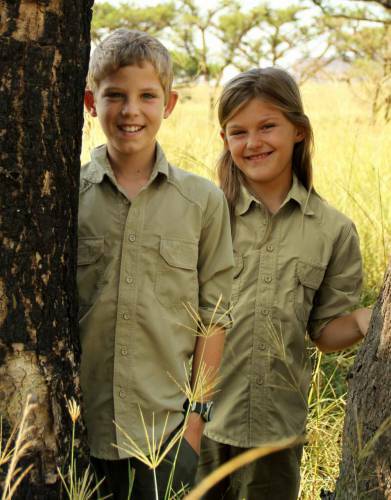 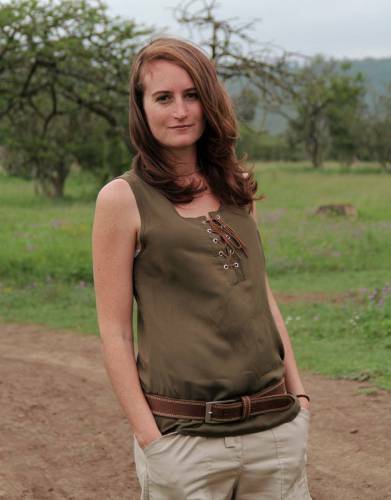 As a general rule, safari shirts made from man-made fibres (e.g. 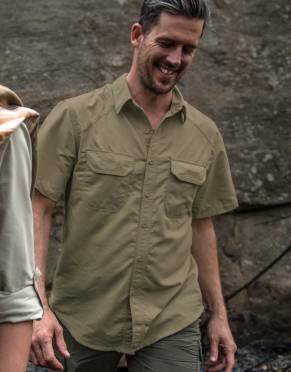 polyamide) are superior to natural fibres such as cotton as they wick moisture away from the skin much faster than cotton shirts. 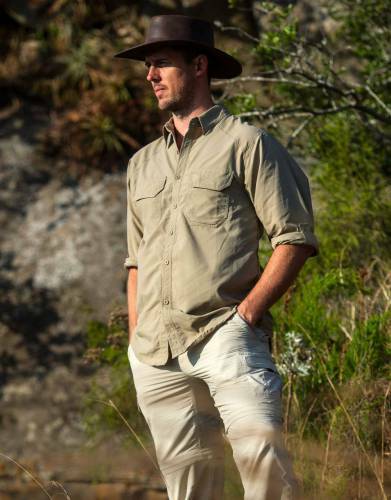 Faster wicking means faster cooling. 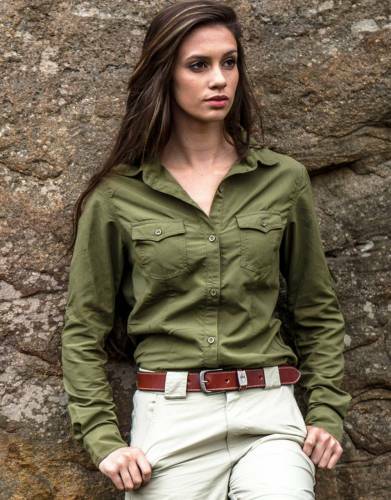 This is particularly important for any long-sleeved or collared shirt. 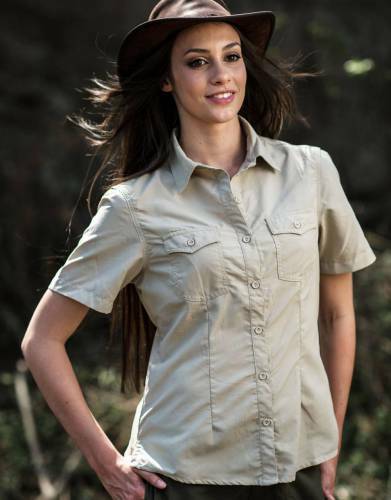 Pack safari shirts which have a collar to protect your neck from the sun.